Ethyl Acetate is widely demanded by varied industrial sectors and it can be offered in various packaging options. 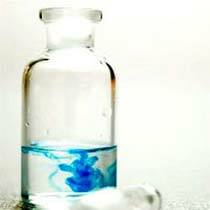 The formulation and accurate preparation of the Ethyl Acetate is the key to its popularity. The company stands tall as a highly acclaimed Manufacturer, Supplier & Exporter of Ethyl Acetate and the timely and safe deliveries are ensured.